Terrie Leigh Relf: What types and forms of writing do you do? 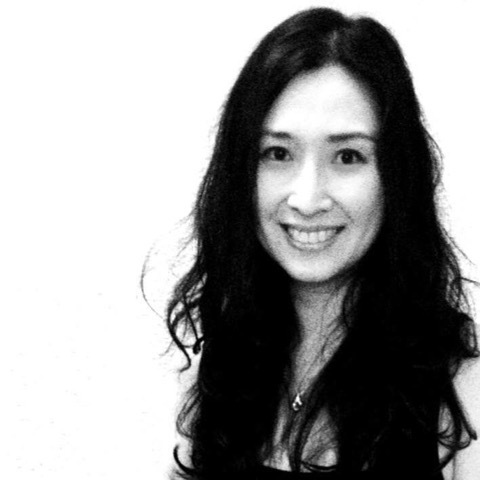 Christina Sng: I write poetry, specifically speculative poetry, and also Japanese short forms. Occasionally, a story emerges but only via muse. Relf: What is your area(s) of subject matter expertise? How did you discover this niche? What intrigues you about it? Sng: I’ve been a fan of horror since childhood. Probably growing up in a dark shadowy home that was supposedly haunted helped. I was never frightened by it, but the concept of horror intrigued me. As I grew up, science and space captured my imagination. The idea of worlds beyond our world tapped the explorer in me. I may well never live long enough to travel to another world, but science fiction has allowed me to spend copious amounts of time there in countless adventures. Relf: How do you balance your creative and work time? Sng: I seize moments here and there to write during the day. After everyone is asleep, I usually edit, as by that time, my brain is in safe mode and output is unreliable. My best writing days are the exceptionally rare ones when everyone is out and I can settle down to writing something longer. Relf: What tips do you have for other writers? Sng: Keep writing and read widely. Separate your work from yourself. Ask for criticism and apply the advice to your work. Repeat process till work feels complete to you. Relf: What are your thoughts on the creative process in general and your creative process in particular? Where do your ideas come from? What inspires and intrigues you? Sng: I think inspiration is everywhere. We just have to find it. It’s like training an artist’s eye to see the shades and colors and lines of everything. For us, everything can be a prompt. We have to tune our mind to see them. To do that, we need to be able to relax to find an inspirational target and focus to retrieve the inspiration – kind of like being Cyclops and learning how to control the lasers shooting out from our eyes. Right now, in this season of my life, nature inspires me. It grounds me and calms me. Words also inspire me, which is why often a word or a phrase will trigger a poem. Relf: Where have you been published? Upcoming publications? Awards and other accolades? Sng: My speculative poetry has been published mainly in North America, the United Kingdom, Australia, and Singapore, while my Japanese short forms have found homes all around the world. The later part of this year will be very exciting because my first micro-chapbook of haiku and my first full-length speculative poetry collection will be published. 2016 is the first year I’ve had my poems nominated for both the Rhysling and Dwarf Star Awards. I’m incredibly humbled by the honor. Relf: What are you working on now? Sng: At the moment I’m trying to put some collections together from my existing body of work. A couple are almost complete but some feel incomplete because they are missing a particular poem or two. Relf: What challenges have you faced as a writer and/or with a particular project? How did you meet them? What did you learn from these challenges and how did it make you a better writer? Sng: Often, a poem, story, or a collection doesn’t work. I put it aside for a while and come back to it with fresh eyes. That usually works, but occasionally it doesn’t. I have work that is still in progress after many years. I’ve learnt to let them go. Relf: What poetic forms do you write in? What is it that you love about these forms? Sng: I’ve experimented with many forms and enjoy a certain consistency in the line counts of my stanzas. Most recently, I’ve been enamoured by haiku and have been working hard on learning the form. Relf: Thank you so much for creating the time for this interview, Christina. Be sure to keep an eye out for her new books, visit her website, and read her bio below. Christina Sng is a poet, writer, and artist. Her poetry has been nominated for the Rhysling and Dwarf Stars Awards and has received Honorable Mentions in The Year’s Best Fantasy and Horror. She is the author of three chapbooks and her first full-length book of poetry, A Collection of Nightmares from Raw Dog Screaming Press and her first micro-chapbook of haiku, A Constellation of Songs from the Origami Poems Project are slated for release late 2016.